Our founder, Tawnee, has always been a horse lover and owned horses all of her life. There was one time after Jason & Tawnee were married that she found herself horseless, and this was hard on Tawnee. She just had to have a horse of her own again! 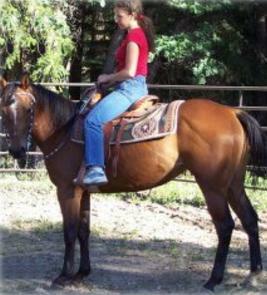 On June 24, 2003 Tawnee headed to an auction to get a horse of her own. She rescued a 4 year old Quarter Horse named Skip for only $321.75. Skip was untouched and unsure of people. Tawnee spent hours with Skip and she responded really well. Within 7 days Tawnee and Skip were on trail rides together. It was not long, however, when Tawnee started thinking about all the horses sent through the auctions that were being sold for slaughter. After a struggle in her heart, she decided to sell her Skip and use the money to go back to the auction and save as many horses as she could. 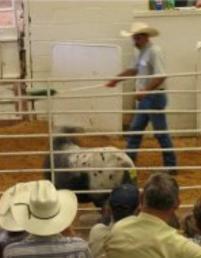 She sold Skip to a nice family for $1,800.00 a mere 3 months after she had saved her from the auction. With tears she said good bye to her wonderful horse that she had bonded to so closely. Her mind was made up, she was going back there and saving more of those horses from people who would look at horses with greed in their eyes. She wondered, “Why do those people have so much greed in their eyes when they looked at the horses? And why were they so rough with the horses? How many where being sold for slaughter?” In the years to come Tawnee & Jason would have all their questions answered through experience. 5 horses were rescued in 2003. With 5 horses saved from the auction in 2003 all in homes now, Jason and Tawnee decided to start a rescue for all equines: horses, ponies, mules and donkeys. They chose to call it “NorCal Equine Rescue.” (NorCal is short for Northern California.) NorCal Equine Rescue would be a rescue that would strive to save as many equines from slaughter, abuse, neglect and abandonment as they could, and would heal and gentle the previously damaged equines and then find suitable homes for them that would provide love and care forever. Tawnee would do this full time and Jason would work full time in his job to pay for it all. All that year Jason worked hard to pay for all the rescue’s bills and Tawnee worked hard saving horses, ponies, & donkeys and adopting them into loving homes. In that first full year of operation NorCal Equine Rescue was able to save 35 equines from an unknown future. It was a good year, they planned on saving more equines the next year. Jason secretly wondered if saving more lives would mean he was going to work longer hours to pay the bills, but he knew it was worth it. 35 horses were rescued in 2004. Jason & Tawnee had big plans for the rescue in 2005. They were working with the IRS to make their rescue into a 501(c)(3) nonprofit charitable organization. Jason & Tawnee were also expecting a baby of their own on July 3rd. Being pregnant didn’t slow Tawnee down much, she had no morning sickness and felt great. She even hiked 9 miles with Jason at 6 months pregnant through deep snow to find out what had happened to a horse that a local dude ranch operator left in a high mountain pasture to die over the winter. Sadly they were to late to save that horse, and to this day the dude ranch operator has never been charged. Good news from the IRS came in April, as of March 16th, 2005 the rescue was now a 501(c)(3) nonprofit charitable organization! This was great news as they hoped donations would help pay to feed all the horses in the rescue. With the help of some volunteers they decided to have their first big fundraiser on the 4th of July. In the small town of Taylorsville, CA where they lived there is a good old fashioned parade. They all hoped that Tawnee would stay pregnant until after the big fundraiser as it was past her due date. The fundraising was great and over $300 was raised. It was a huge success! By July they had already saved 24 horses. On July 7th Tawnee was induced into labor and after 36 hours of contractions, 8 hours of pushing and then a c-section Justin was born. This put Tawnee out of commission for a little while, but the rescue moved full steam ahead. In the fall they got exciting news that the rescue would be getting a very large $150,000 donation in loving memory of Robert and Louise Krume in 2006. 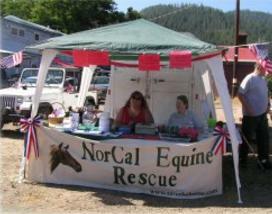 NorCal Equine Rescue was entering its first full year of being a 501(c)(3) nonprofit. By the end of March we had already rescued 18 horses, including our very first group of horses from a feedlot in NV. We rescued 3 pregnant mares and a mare with her 3 day old foal. 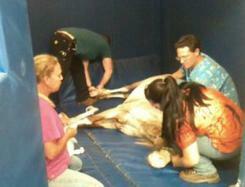 By this time the rescue was starting to be able to feed its own horses and pay the bills. This was great for Jason as now he didn’t have to work quite so hard to fund the rescue. In July we received the donation from the Robert and Louise Krume estate of $150,000.00. This donation is the reason NorCal Equine Rescue was really been able to grow and prosper, if it was not for Robert and Louise Krume the rescue would still be struggling along and Jason would still be working in construction to fund the rescue. At this point Tawnee & Jason both started working full time so that with more manpower more horses could be saved. The rescue was able to buy some much needed equipment and supplies to help it run better and be able to save more horses. A move was in the future. Jason & Tawnee lived in the high mountains near Taylorsville, CA. The winters were too hard on the rescued horses with deep snow and freezing weather. It was time to move the rescue to a warmer place. A place was found in Oroville, Ca and was rented for 6 months as Jason & Tawnee looked for suitable land to buy for themselves so the rescue could use it. At the end of the year Jason & Tawnee had found 10 acres of land to buy for themselves with money they had saved. This was a very busy year with getting the new rescue set up. Near the end of February they moved full time to the new ranch. With little more than a round pen and electric rope pens they continued rescuing horses at an ever increasing rate. 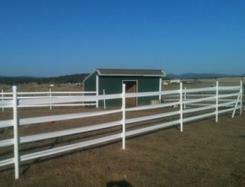 With help from the Claire Gianini fund they were able to purchase a 4 stall horse barn. The barn greatly improved their ability to rescue special needs horses. By the end of July they had rescued almost 40 horses and placed them into loving homes. In August they started saving feedlot horses in Nevada. By October they had rescued over 100 horses in just 2007! 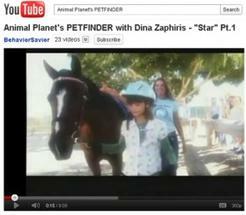 They were contacted by Petfinder to provide a horse for their new TV show, Petfinder Series on Animal Planet. They had the perfect horse, Mya. Jason and Tawnee drove to LA to be with Mya for the filming. By the end of 2007 they had rescued a total of 234 horses, making it a greay year! So far NorCal Equine Rescue had saved 394 equines from an unknown future since being founded. 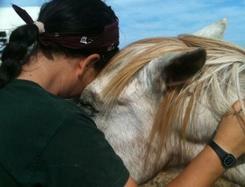 ​Tawnee began thinking and rethinking how horse rescue was being done. Up to this point they would pick and choose who they could rescue and who they could not based on the adoptability of that horse. At one auction Tawnee attended it really got her thinking. She spent time with two sweet, elderly horses. One had cushings and the other was very lame. She knew they were not adoptable, so she pet them and told them “Sorry, but I cannot rescue you” and walked away. After the auction she watched them get loaded onto a slaughter truck and she realized the way she had been rescuing was wrong. Those horses needed help just as much, if not more, than the other horses there. Just because they were unadoptable did not mean they should turn a blind eye to them and let them head off to slaughter. After rethinking about how horse rescues should be done, she decided to stop picking and choosing which horses to rescue based on their adoptability, but would rescue every horse she could that was in the slaughter price at auctions. If they needed humane euthanasia, they would be given love, a bucket of grain, and a dignified ending. Not a gruesome and terrifying end at a slaughterhouse. This new philosophy of horse rescue prompted Tawnee to start euthanasia clinics where people could bring horses that needed humane euthanasia. 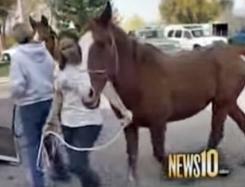 To see a news clip about the the first every euthanasia clinic for horses, click here. 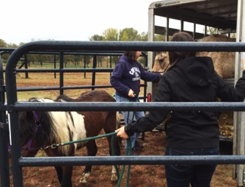 With the new philosophy of horse rescue in place, Tawnee launched a new program to cut the unwanted horse problem at its source: low cost gelding clinics. The first year, over 20 owners of stallions took advantage of this program and had assistance gelding their stallions. Jason and Tawnee started furthering their rescue knowledge and education by attending a FEMA and Humane Society of the United States training in Texas called Disaster Animal Response Training. NorCal Equine Rescue was quickly outgrowing its name. They were rescuing far more than just horses and other equine and were helping animals across the United States. They thought long and hard about a name change and finally settled on Horse Plus Humane Society. With the name change came a new shelter location. 20 acres of bare pasture land was purchased for the new shelter. A well was quickly drilled, fencing erected and shelters put up. Horse Plus Humane Society started sponsoring Microchipping clinics for horses. Helping in several wildfire evacuations really showed Jason and Tawnee that being microchipped is so important for horses in a mass evacuation event or if a horse is simply lost. 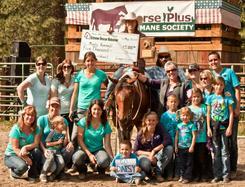 Horse Plus Humane Society received $25,000 from the Chase giving contest thanks to our supporters voting for us. At the same time a much nicer facility, with over 30,000 square feet of barns and office space, with 50 acres, became available for a 5 year lease. Horse Plus’ Board of Directors made the decision to sell the 20 acres and move the shelter to the 50 acre facility. The 20 acres was sold and the new facility opened its doors. At the new facility they were able to rescue and care for more animal than ever before. ​ Jason and Tawnee spent 2013 as directors more than hands on daily care as the staff grew at the shelter. Tawnee, always thinking of ways to help horses, launched the Extreme Rescue Makeover competition. 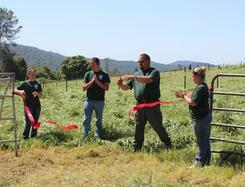 The first competition was held in Taylorsville, CA near where NorCal Equine Rescue was founded. The competition was a complete success and many unadoptable, rescued horses were trained and became highly adoptable. Horse Plus hired one of the trainers, Kirsty, from the competition to be the part time trainer at the shelter. The shelter started giving a home to unwanted roosters, who would have free range at the shelter helping with the fly population while waiting for their adoptive home as pets. With the Extreme Rescue Makeover being so successful, another Makeover was planned for the summer of 2014. Trainers and horses were matched up and the event was held near the shelter at a Equestrian Park. Shari, our main auction rescuer in California, was moving to Oklahoma with her husband who was being transferred for his job. It was decided to open a branch shelter in OK. Shari said the need for a rescue was huge. Jason and Tawnee were contacted by one of our long time followers about a friend who was moving to North Carolina and had elderly horses that needed to be transported. Jason and Tawnee agreed to move the horses and made a family vacation of it with their 4 children. Tawnee attended an auction in TN in an Amish community and saw that there was absolutely no help for the horses at the auctions. There were no rescues in the area but there were semi trucks loading up with horses for slaughter. It really saddened her to see that there were no resources to help horses. At the TN auction Tawnee rescued a group of horses with the plan to take them to California. On the way back to CA they stopped at the new branch shelter in OK and attended an auction with Shari. At the OK auction it was the same thing: no rescues to help horse, lots of trucks loading up with horses for slaughter. In CA there are sometimes multiple rescues at auctions and it’s often hard not to bid against other rescues. 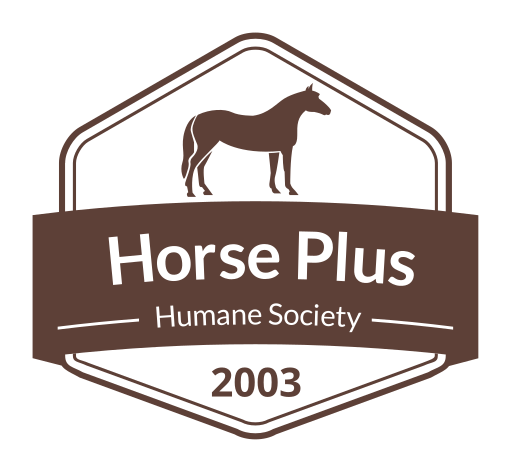 ​ Horse Plus Humane Society was awarded a Certificate acknowledging our hard work and dedication from the state of California. It was a great honor and a wonderful surprise to receive this recognition. Jason and Tawnee made the decision to move back east to open a shelter in TN and to be closer to help Shari in OK. With so many horse rescues in CA and so few back east, they knew they were needed. The CA shelter absorbed a nonprofit horse rescue that was struggling financially and moved the shelter facility to their location near Sacramento. The leased property was to put up for sale as they had the option to buy or assign a buyer. The OK shelter was up and going better and was able to rescue and shelter more horses from auction. The TN shelter was established and within the first few months of operating was helping law enforcement with cruelty seizures. Due to the relocations we did not have an Extreme Rescue Makeover this year.